Many of the earliest Africans to arrive in the Americas came to Central America with Spanish colonists in the sixteenth and seventeenth centuries, and people of African descent constituted the majority of nonindigenous populations in the region long thereafter. Yet in the development of national identities and historical consciousness, Central American nations have often countenanced widespread practices of social, political, and regional exclusion of blacks. The postcolonial development of mestizo or mixed-race ideologies of national identity have systematically downplayed African ancestry and social and political involvement in favor of Spanish and Indian heritage and contributions. In addition, a powerful sense of place and belonging has led many peoples of African descent in Central America to identify themselves as something other than African American, reinforcing the tendency of local and foreign scholars to see Central America as peripheral to the African diaspora in the Americas. 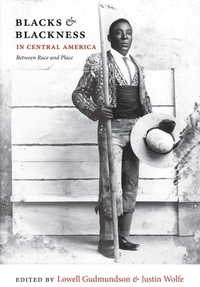 The essays in this collection begin to recover the forgotten and downplayed histories of blacks in Central America, demonstrating the centrality of African Americans to the region's history from the earliest colonial times to the present. They reveal how modern nationalist attempts to define mixed-race majorities as "Indo-Hispanic," or as anything but African American, clash with the historical record of the first region of the Americas in which African Americans not only gained the right to vote but repeatedly held high office, including the presidency, following independence from Spain in 1821.